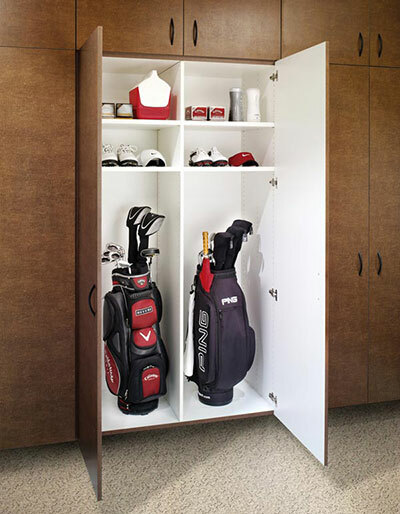 Transform your space with Ohio Garage Interior signature garage solutions like garage cabinets and storage solutions. The family owned company, started by Chad & Scott Gleske, gives your garage a new makeover and challenges what a normal garage can be with their quality products designed to handle the tough foot traffic and temperatures that a garage has. When providing signature cabinets, Ohio Garage Interiors can help you stay organized and uncluttered. With robust construction and dimensions up to 48″ wide, Ohio Garage Interiors’ storage garage cabinets are designed to give your garage a stylish yet durable look and with a video on their website that shows how they install the cabinets to a garage, they promise you the job will get done skillfully and right the first time around. You can also view their e-brochure online to see how they can be of help to you in re-inventing your garage. If you want to make a change, contact Ohio Garage Interiors today!